The Ultimate3 30kW is a highly reliable condensing Combi gas boiler that has been designed and manufactured by Glow-worm. It is a compact unit that will help you to save space around the home as it can fit in a cupboard. This is a highly efficient boiler, that could help you to save money on your energy bills, as shown by its seasonal efficiency rating of 89% and ErP A rating. 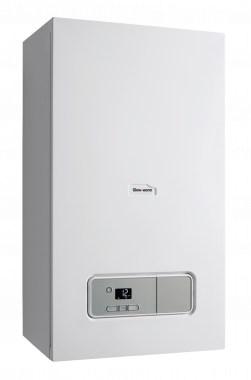 With this highly reliable boiler being a 30kW boiler it is perfectly suitable for the larger homes with a high demand for heating and hot water. As well as those homes with more than two bathrooms. This boiler comes in two outputs the 30kW and 35kW making the unit able to suit all larger sized homes. A wide range of features give the Ultimate3 its reliability, from an automotive grade aluminium heat exchanger for high performance, a Grundfos modulating pump that helps reduce energy, a modern bright LCD display with an easy to use interface to give you maximum control over the unit, an inbuilt filling loop helping for straightforward maintenance and a wide range of flue options so that it can be installed just about anywhere. Being a Combi boiler, this unit is a water heater and central heating boiler wrapped into one compact unit, meaning that you won’t require a hot water cylinder. As well as saving space around the home, you’ll be getting instant heating and hot water when you need it. Backed by a lengthy 10-year warranty, the Ultimate3 by Glow-worm is a unit you can be sure won’t let you down.